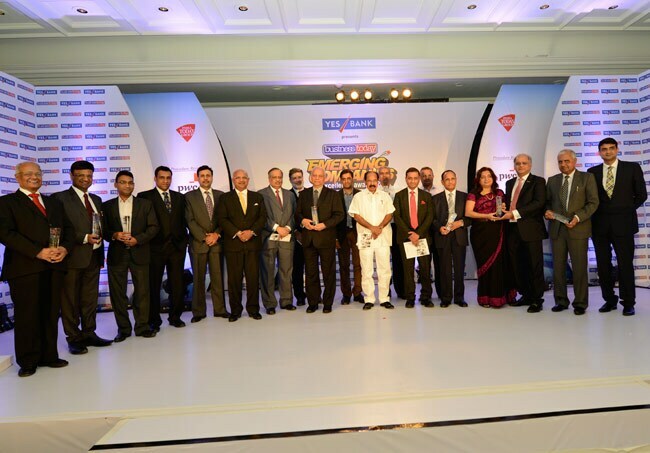 He was addressing the inaugural Business Today-YES Bank Emerging Companies Excellence Awards 2013 function at the ITC Maurya, New Delhi, where he was chief guest. Emphasising the need to reduce India's oil and gas imports, Union Minister for Petroleum and Natural Gas M. Veerappa Moily on Friday said India was likely to become energy independent by 2030. "By 2020, 50 per cent of imports should be reduced, which should become 75 per cent by 2025. 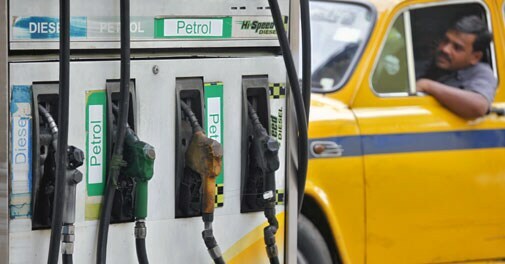 By 2030, India should be energy independent," Moily said. He added that the government ought to take bold decisions in the energy sector. Business Today is the only business magazine to have instituted an award recognising excellence in emerging companies. The criteria for inclusion among such companies were: they should be unlisted, innovative and should clocked a turnover between Rs 200 crore and Rs 1,000 crore in the financial year 2011/12. Around 526 companies applied for the award of which 177 made it to the second phase of the contest. While five of the awards have been given for financial performance, three were non-financial. There was also an overall winner award. A five-member jury went through the list of final nominees in the third phase to choose the winners. 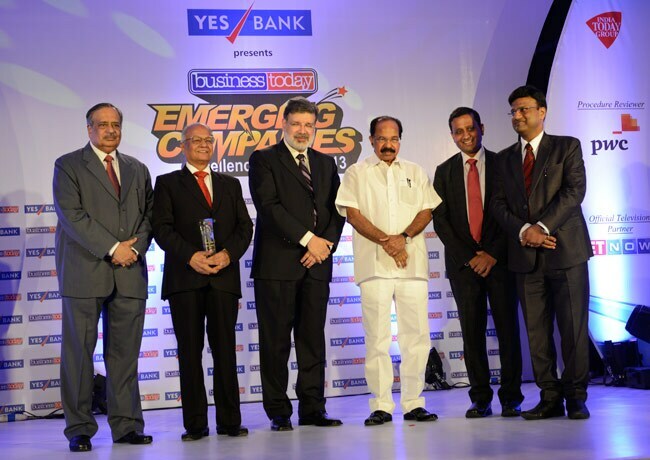 Akums Drugs & Pharmaceuticals Ltd, the largest contract manufacturer of medicines in India, bagged the overall Best Emerging Companies Award. "That we have been recognised is the biggest achievement for us," said D.C. Jain, Chairman of the company. "We had never expected that we would win. We have 30 years of experience in the pharmaceutical line. Akums was formed in 2004-05 and we had made profits beyond our expectations. We supply to many big pharma companies in India. We have six units in Haridwar and our manpower strength stands at 5,000." Akums also won the award for Corporate Governance. The Category of Global Business Excellence saw two winners - Transasia Bio-Medicals Ltd and Raajratna Metal Industries Ltd. The Award for Most Innovative Company went to Minex Metallurgical Company Ltd, while Tulasi Seeds Pvt Ltd won the award for CSR sustainable development. GR Infraprojects Ltd bagged the award for the category in Capital Management. Dr Lal Pathlabs won the Best Employment Creation Awards. "We feel humbled that we have got the award in the category of best employment. We have 4,000 people and 200 doctors (pathologists) along with 150 labs across the country. With 2,500 collection centres, we test about 32,000 people everyday," said Brig. Dr Arvind Lal (retd), Padma Shri, Chairman and Managing Director, Dr Lal Pathlabs. The award in the category of Scalability of the Business Model went to Eris Lifesciences Ltd, Ahmedabad, which also won the award for Managing Operational Efficiencies. "We are happy to be selected. Next, from one of the best emerging companies, we want to become one of the best companies," said Amit Bakshi, Chairman, Eris Lifesciensces Ltd. The guest of honour was M. Damodaran, former Chairman of SEBI and the Unit Trust of India, who is also doing some pioneering work in rural healthcare - he is Chairman of Glocal Healthcare Systems. Chaitanya Kalbag, Editor, Business Today, explained the procedure adopted for choosing the awardees and emphasised the importance of entrepreneurship. Moily also spoke about how entrepreneurship can take the country ahead and shared the success story of Infosys Co-founder NR Narayana Murthy.